Head to the referral page and hit the “EARN £30” button. Fill out your details to reveal the sharing options – email and social media options are provided. If you’re already a Leesa member you can manage your referrals by logging in. Get sharing your code with anybody looking for a comfy new mattress, remember that they’ll get an £80 discount to sweeten the deal. Once they’ve completed their 100 day risk-free trial and purchased the mattress you’ll receive your £30 via PayPal. Get hold of your friend’s referral code (or use ours, it’s in the blue box just below). 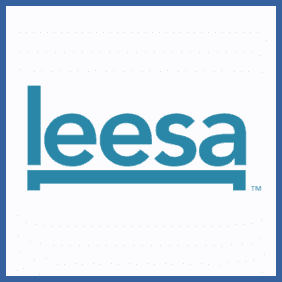 Follow the referral link onto the Leesa site. Place your order – as part of the refer a friend promotion you’ll enjoy an £80 discount. Enjoy your 100 day risk-free trial and purchase the mattress at the end to unlock your friend’s £30 referral bonus. The Leesa mattress has over 11,000 5 star reviews worldwide – so you can be sure they’re pretty comfortable. Even if you’re not an existing customer you can get on board with Leesa’s refer a friend program, which nets you £30 cash for every new customer you recommend to Leesa. To sweeten the deal they’ll get an £80 discount on the price of their new mattress! The £30 is paid directly into your PayPal account once your friend has completed their free, no-risk 100 night mattress trial.